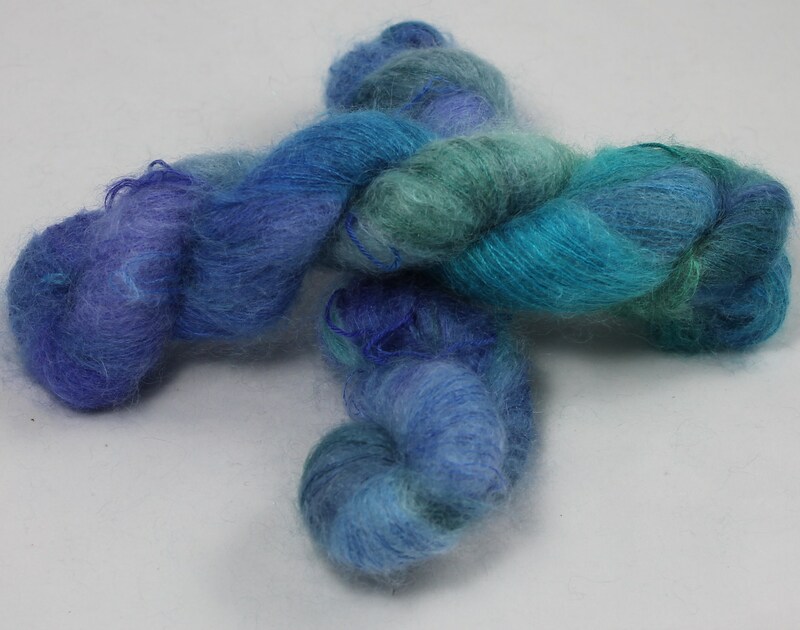 This listing is for one of my favourite dye colours. 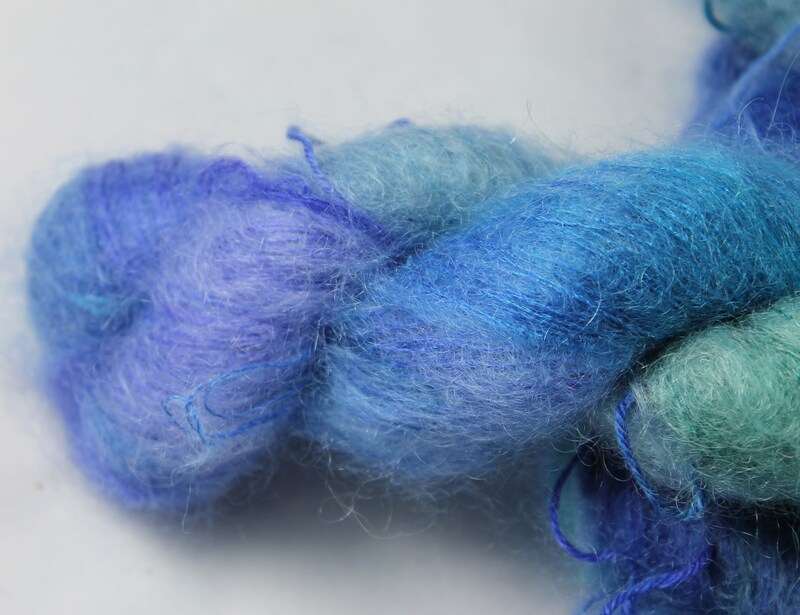 I developed the yarn in the colours of the peacock feathers that we spent hours searching for at Warwick Castle. They are still in my studio today. 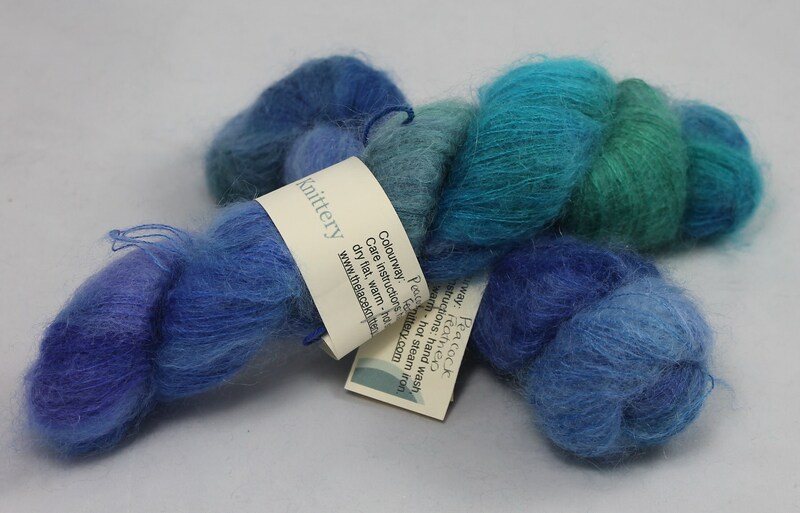 It is a sumptuous colour and it blends from a rich purple, through turquoise blues and brighter blue to greens. Each skein is 420 meters in length and I can usually knit a scarf and a pair of mitts from each one. Two skeins are more than enough to knit a wrap. 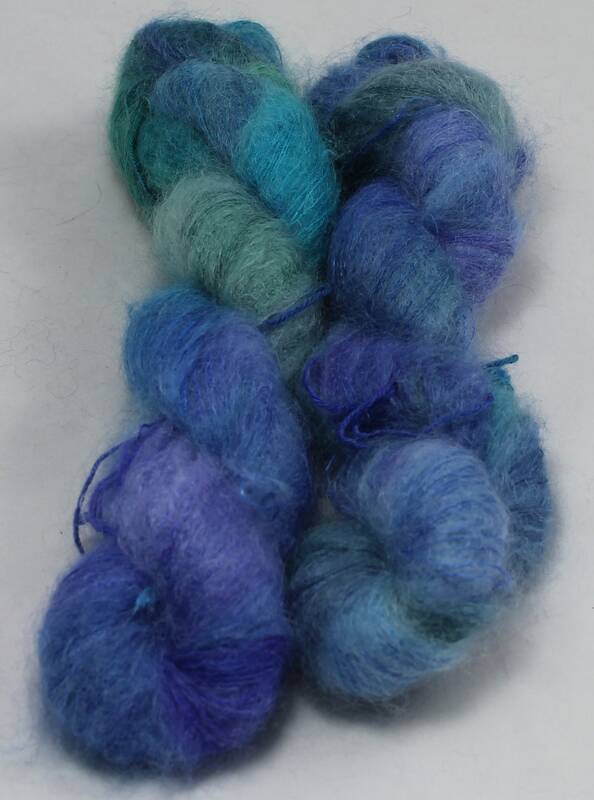 It is a beautiful yarn to work with and can be pressed with a hot steam iron to block your finished creation. 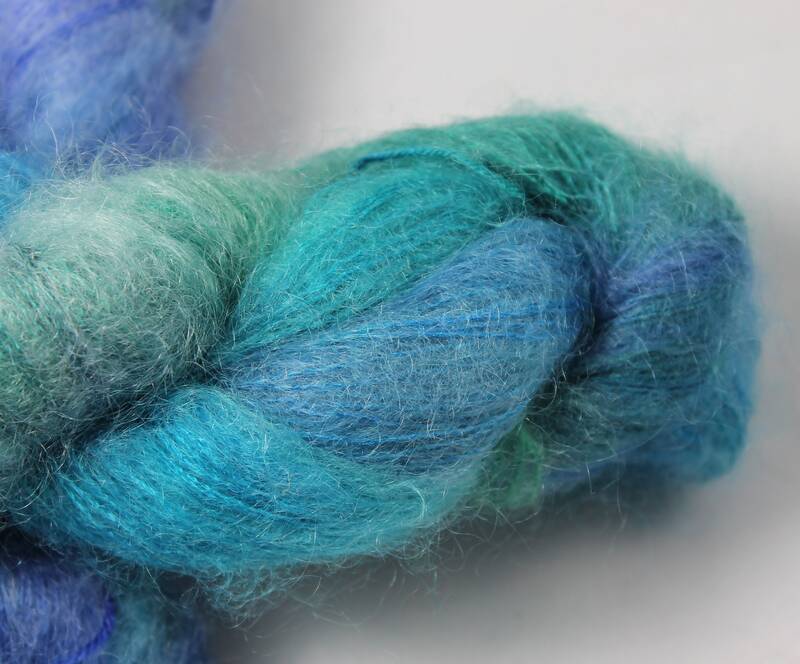 If you would like this yarn in bigger quantities, a different colour or this colour way in a different yarn please send me a convo...I love custom orders.